Lincoln is a town in northern Providence County, Rhode Island. The population is approximately 22,000. The median home value in Lincoln is $278,900. Hearthside is a historic house in Lincoln that contains 10 fireplaces or hearths. It has been noted as one of the finest examples of early 19th century federal-style houses in the state and has been on the National Register of Historic Places since 1973. Hearthside has become known as “The House that Love Built” because of the romantic history behind the building of the house by Stephen Hopkins Smith. Smith allegedly built the house with winnings from the Louisiana state lottery to unsuccessfully woo a woman from Providence. Lincoln was settled in the 17th century and became an important mill town in the late 19th century, with many textile factories running along the Blackstone River. 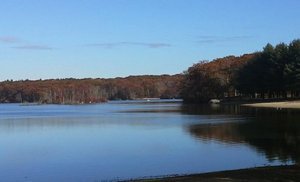 Lincoln is home to Lincoln Woods State Park, a 627-acre state park, that offers a freshwater beach for fishing, boating, and kayaking. 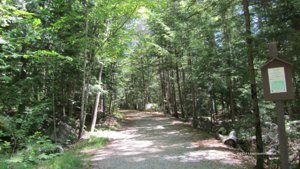 The park is also known for bouldering, a type of rock climbing, and hiking along the Lincoln Woods trail. If you are interested in taking dance lessons, Lincoln is home to Rhode Island’s largest swing dancing scene, Providence Swings.